The Keto diet has gained popularity for being highly effective for weight loss and fitness, but it can be challenging to find food that you like and to get enough of the foods that are good for you. One way to ensure that you get enough protein while on a Keto diet is to eat protein bars. Protein bars are a great idea if you are someone who is trying to follow the keto diet, but you work long hours at your job with very little time to plan and prepare your food and are looking for healthy snacks that provide you with the nutrition that your body needs—in this case, the protein that your body will demand of you while you are on a keto diet. To help you find the bars that are going to provide you with enough protein without being high in carbs, we have compiled our top five favorite protein bars for Keto fanatics. Before you jump into buying any bar that says that it has protein, if you are on a keto diet, you need to take some factors into consideration before purchasing. To understand what type of protein bars you want to get, you will need to understand more about the keto diet. A keto diet is a strict diet, that while highly beneficial to getting fit can be challenging to follow if you are not mindful about what you eat. You will need to avoid unhealthy carbs and sugars yet one that is high in fat. Typically, wheats, grains, legumes, pasta, cereals, and fruit are prohibited. Fruits like berries and nuts are allowed though and encouraged, especially in protein bars. Natural sweeteners like stevia can be used and lots of vegetables, meat, and natural fats such as coconut oil are also allowed. Keto diets also call for a lot of protein, so finding any way to eat more protein can be helpful. Understanding the keto diet will help you to be able to choose protein bars with more caution and ones that will be beneficial for your diet plan. Now that you understand more about what it’s like to eat keto, you will understand why you may want to add protein bars to your diet and what types of protein bars to look for and which ingredients to avoid. A protein bar made from organic meat is an excellent idea, but there are not that many protein bars made from organic beef. If you enjoy the taste of protein bars with meat and can find an affordable option, you can be sure that you will be getting plenty of protein. If not, try to find protein bars that offer more than 20 grams of protein. These will be extremely beneficial to your keto diet and will help you to get a sufficient amount of protein. There are plenty of protein bars out there that may promise you energy and nutrition, but when it comes to protein bars for keto, you will need to look for very specific protein bars. Make sure that they are high in protein. Because a keto diet should be high in protein, you shouldn’t waste your time or money buying bars that are anything but high in protein. This may be obvious, but a good protein bar will have more than 20 g, so keep an eye out for the amount each bar offers. Look for bars that are low in carbs. A keto diet is very low in carbs, so while you may be trying to get the protein that you need in protein bars, be careful that the ones that you buy aren’t high in carbs. If sweetened, make sure that the sweetener used is a natural one and that it isn’t heavily sweetened. Even natural sweeteners can be high in carbs, so keep this in mind. How is the texture? Some protein bars can be very dry which makes them difficult to eat. If you are only looking for protein bars to have an easy way to get your protein, then you may not mind, but if you actually want to enjoy your protein bars, consider the texture. Along the same lines, research the flavors before buying protein bars. While you may not mind how they taste because you are eating them for their benefits and not their flavor, some bars are highly nasty to eat. While nuts are fine to eat on a keto diet, be aware that some nuts are extremely high in carbs. For example, peanuts and cashews should be avoided if possible, although if you do find a protein bar with some peanuts in the mix, you will be ok—as long as there aren’t more than 4g of carbs. Of course, it is important to consider that some proteins may be high in carbs and you will want to avoid a bar that is packed full of peanuts, for example, and which the amount of carbs goes over 4 or 5 grams. It may seem a bit time-consuming to look for the perfect protein bar for your keto diet, but they do exist and the ones on our list may be exactly what you are looking for. It can be difficult to find the perfect protein bar that has everything that you want and need in one bar, but as long as it is relatively low in carbs, even if it does have a little sugar, when consumed in moderation it can be beneficial to your keto diet. In the end, the decision you make should be on your dietary goals and your preferences. Sweetened with natural sweeteners, these protein bars are a favorite for people looking for low-carb options. They are gluten-free and only have 4 grams of carbs while providing 21 grams of protein. They do have a good taste for being natural protein bars. Another key factor is that they are an affordable option, which may be good for you if you plan on eating these regularly. The Quest bars do have an awkward texture to some people, but the flavor and high level of protein may be enough to make up for it. Many people like this bar because Quest does very well in getting a tasty candy-like bar. Because a keto diet is rich in meat and proteins, this is the perfect addition to your diet, because it has real, natural, organic meat. They also don’t contain any artificial substances, such as sweeteners or preservatives, and the added cranberry and sunflower seeds helps to provide them with a better taste. While they are somewhat pricey, if you want a real protein kick while on the run, they are good protein bar to add to your keto diet. If you like chocolate, you may appreciate these protein bars that offer consumers a whole 21 grams of protein. They are gluten-free, which is something that many keto dieters look for. While they do contain some carbs and artificial sweetener, it is minimum and while keto dieters shouldn’t snack on too many of these, eating one as a protein supplement occasionally could be a good idea as they are some of the best bars for getting your protein. 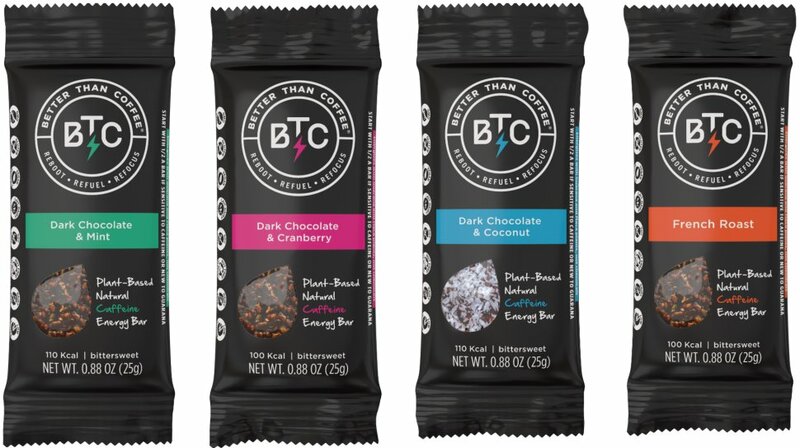 The Better Than Coffee Health Energy Bars are a good alternative for getting energy and protein for many people. They are only sweetened by coconut flakes and natural chocolate yet rich in guarana and maca which help them to give that boost of protein and energy. For some people living the keto lifestyle, the presence of sweetener may not be the best, even if it is a low amount. Also, if you have a problem with consuming caffeine, these protein bars are very high in caffeine and may not be for you. The NuGo protein bars have very little carbs at only 2 grams and they provide 20 grams of protein, making them a great option for keto dieters. Made from soy, they not only provide protein, but provide numerous other health benefits. If you don’t like peanut butter, you may not like the flavor. They do tend to cause flatulence, so keep this in mind when you plan to eat one. Another benefit to the NuGo bar is that is one of the more affordable protein bars available. Each one of these bars has something good in them that makes them ideal for keto diets, but the winner here has to be the Quest Nutrition Protein Bar. 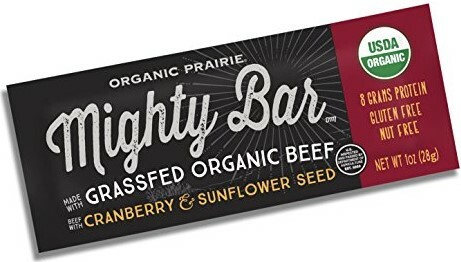 Because keto diets call for a lot of protein, the fact that this bar is made from organic beef means that you will get a great amount of protein in them. They are also low in carbs which is a big part of the keto diet and they taste great which is something that many people look for in their protein bars. If you want a tasty, low carb, and high in protein bar, Quest Nutrition Protein Bar is the one for you.